This is the time of year in England when students taking GCSEs begin to worry about the transition from secondary school to college. Actually, I may be getting ahead of myself there as they are probably more worried about their exams at the moment. Anyway, it is sure to be on their minds and it is a question that you get asked many times, either by family, friends or first-year students. It is funny how ‘first-year’ sounds like there is a huge gap between me and them but in reality there isn’t. You usually only spend two years in college after all. I remember when I was going to start college and my teachers in school warned us of the great amount of work that we will have to do. The college declared five hours a day of home study to be the minimum and everyone seemed to be talking about the oh so massive gap between GCSEs and A-levels. Throw all of those dramatic statements out of the window please. College may be difficult but it certainly is not as difficult as it is made to sound. The first thing that needs to be taken extremely seriously is what you would like to study at college. I know that this can be an intense time as your mind whirls with all the information that you read on college websites. Remember that whatever you choose, should either be related to the course you hope to do at university or something you enjoy. Of course, it would be best if both those conditions are met. However, many colleges offer a chance to change your subjects within the first few weeks but of course do not bank on this as spaces will be extremely limited. The best thing to do is to attend a taster day for the subjects you are thinking about. Yes, I know these can quite boring with the constant barrage of marketing but it has to be done in order for you to get a real sense of the subject you will be studying for one or two years. So once college starts, the work will obviously begin fairly quickly and things will speed away from the often cringe-making ice breaker activities. 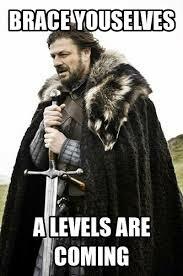 However, as with all things, if you put the effort in, you will not find A-levels so much more difficult than GCSEs. The key thing is reviewing your own capabilities. You as an individual, know your level of natural intelligence and that should be the starting point of the amount of extra work you put in. The five hour per day is ridiculous so do not stress yourself trying to do that every day and thinking that you are falling behind because quite simply, no one does five hours a day of revision until perhaps when it comes close to exams. So personal reviewing is important as you can asses how much work you need to put in. If you do not get a concept or a certain topic, then you will know you have to read up on it. If you feel you have understood the lessons quite well, then do not worry yourself when you hear someone talking about how they revise in to the early hours of the morning. There is one thing that you have to be extremely serious about in college. Homework. Whereas perhaps it was a last-minute chaotic scribble in secondary school during tutorial, in college you have to take homework seriously if you want to do well. This is because it provides you with the opportunity to learn from your mistakes and adapt the way you work, especially if you are doing essay based subjects as your style of writing has to be crafted in order for you to achieve a good grade. Your rate of improvement therefore, is dependent on your ability to complete your homework on time and thus allowing your teacher to mark it and give your feedback. As the year moves on, talks of mock exams and real exams will litter the air. Revision is different for everyone and I would need another post to discuss the different ways you can revise but there is one key thing that you must do. Once you learn the theory and have a reasonable grasp on it, then do as many past papers as possible. This is integral to your revision as it also helps steer you in those last few intense weeks. Of course, A levels are not a walk in the park but they are also not the alien experience that some make it out to be. You have to be mature about your studying during college as there will be times that you have to sacrifice social events for studying but at the same time do not submerge yourself in piles of work. An AS student told me this year that she is going to work so hard for her exams and she is not going to even celebrate her birthday. Now that is taking things to an extreme level. Do not go that far. To summarise, you should be excited about starting college, not afraid. Make good friends in the first few weeks, ones that sound serious about their work as the wrong ones can drag you down. Make sure that you do pay attention in class, complete your homework and try to be an active learner by reading around your subject. Ensure your revision is effective, not hours of reading through your text book thinking that you are studying so well. A levels can be intense but if you are willing to work effectively, then you will realise it has all been worth it when you receive your results on that oh so nerve-wracking day.